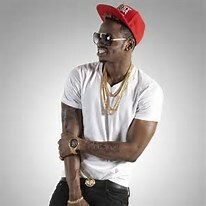 Diamond Platinumz is one of the top artistes in East Africa and Africa as a whole. The Tanzanian singer won the best live performance in the just recently concluded MTV (MAMAs). Of late the ‘’nana’’ hit maker has been ruling the airwaves with hit after hit. On Saturday, Diamond was supposed to have an interview with Lillian Muli in the One On One segment in Citizen TV but he didn’t show up, obviously due to unavoided circumstances. Diamond Platinumz attended the MTV MAMA 2015 after party that was held at the Carnivore grounds Nairobi, Kenya on Sunday. Kenyan groupies or girls (they aint ladies) went crazy and lost their manners. They did everything possible just to see him, and others even went the extra mile of hugging him. They went wild and they were all over diamond as if there life depends on him. The star did not even have peace in his Hotel room. Seriously, can’t Kenyan women just grow up. What do they stand to gain by flirting with a dude who has married a woman who is 10 years or so older than him? Huh!